Music for Mycologists is a collection of works presented by LaSaM’s Experimental Music Unit: George Tzanetakis, Tina Pearson and Paul Walde. 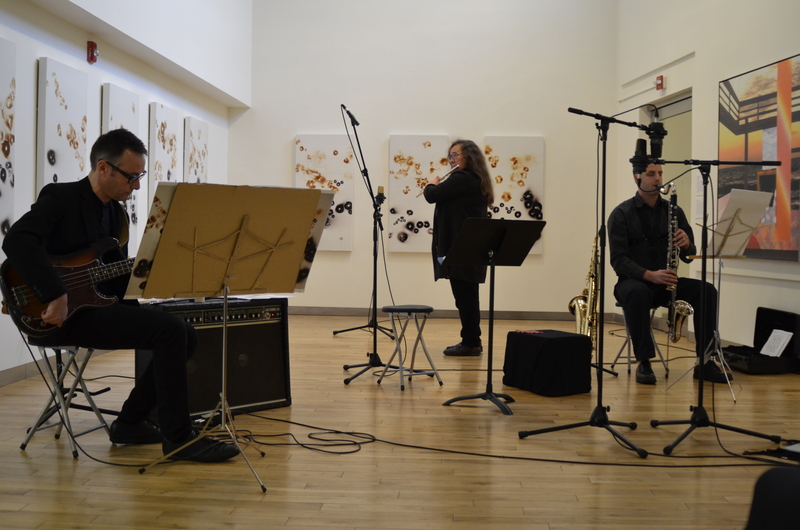 Music for Mycologists was first presented at the Legacy Art Gallery in Victoria, BC on December 1, 2013. It was subsequently developed into a CD recording project with Victoria producer Kirk McNally, released June 6, 2015 at a CD release concert. Portions of the project were also presented as part of the Surrey Art Gallery’s Sound Thinking Symposium November 15, 2014 in Surrey BC. American composer John Cage was an avid mycologist. Cage often quipped that music and mushrooms have nothing to do with one another except for the fact that they appear next to each other in the dictionary. The Experimental Music Unit has put this statement to the test. Paul Walde’s large mushroom spore prints that were exhibited in Paradox at the Legacy Art Gallery are in fact a music notation intended to be interpreted sonically when exhibited. 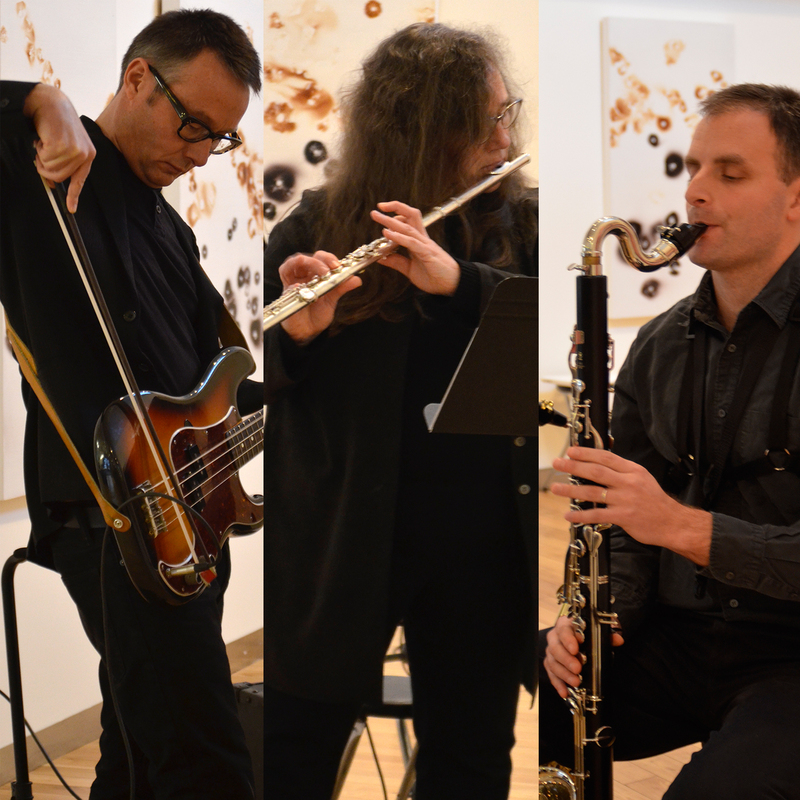 Accordingly, the musicians, Tina Pearson (flute, voice), George Tzanetakis (bass clarinet) and Walde (bass guitar), presented a program that uses mushroom hunting as a metaphor for uncovering those sounds of rare and raw beauty that exist just beyond perception.